March was kind of a whirlwind month for me for both my personal and work life. I ended up going with more basic looks like lighter bases and also rediscovering a favorite in my collection. My makeup was pretty streamlined and relaxed during March, but I'm excited to play with new things again in April since the Sephora sale should be happening soon. The Bite Beauty Multistick in Almond is almost everything I've ever wanted in a product! 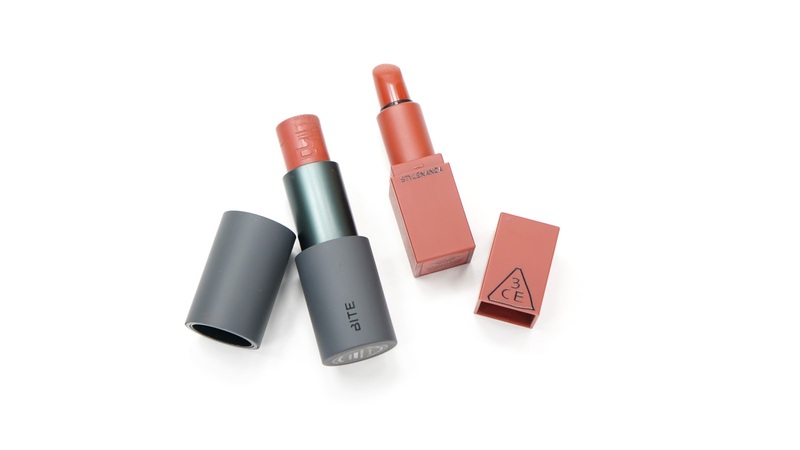 I was pretty skeptical about how multipurpose it would be considering it's a cream and also a red toned product, but I've actually been able to wear it everywhere without too many problems. The texture of this product was creamy enough that it glided over my lips straight from the tube and looked smooth when applied to my cheeks, but also dry enough that it lasted on my cheeks and eye lids without crease or melting. The brown tones to Almond also made it pretty wearable, but I would still add a more neutral toned eyeshadow on my lids to balance out the red. I touched a little bit on the 3CE (3 Concept Eyes) Mini Mood Recipe Lipstick in Smoked Rose on my Makeup Bag Monday post here, but I loved wearing this color. It's actually pretty similar to Bite Almond, but a bit brighter. When I compare it to other lip products, it does drag a bit more but it's still a pretty moisturizing matte lip stick. 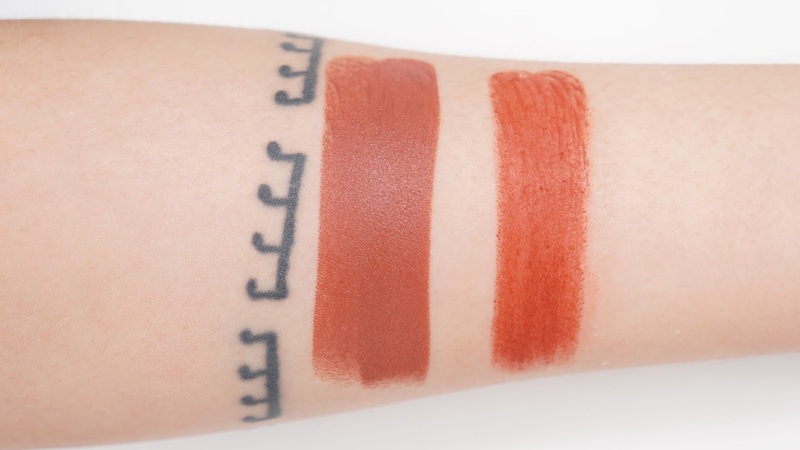 There's something about Smoked Rose that makes it a wearable red too and so it was really easy to just dab this lipstick onto my lips to make a gorgeous stain and run out the door. 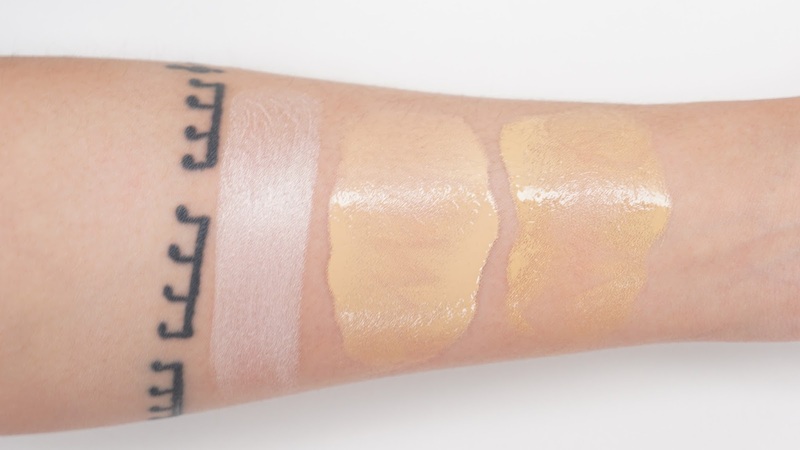 I'm actually surprised that the Pony Effect Makeup Arti-stick Highlighter in Dream-Like hasn't been featured before, but I'm also not surprised because I'm pretty forgetful. My full review of this product can be found here if you're interested! If you're into easy strobing products, this would be for you! It can also be built up, but some quick dabs on my cheeks and some blending with this product would give me such a gorgeous glow. It has no visible shimmers or glitters and just looks lit from within. I love this so much that I also ended up purchasing the more golden version of it too. The texture is also on the dry side and so it works great under or over powder as well. A rediscovery is the Missha Signature Super Light Oil Foundation in #23. I'm actually around a #27 for most Korean base products and so it's one of the reasons why I had put away this foundation for a long time. I've posted some things here and there on my blog, but I've also started to document some decluttering on my Instagram stories. I've thrown away most of my Korean base products like foundations because they're mostly too light, but I retried this one and it's been working pretty well! It's a touch too light still, but I've been making it work by using the Dr. Jart V7 Toning Light Cream underneath the foundation to make my face appear a bit lighter. I'll probably get into this cream a bit more later on, but it's definitely been making me appreciate my lighter base products. Anyway, back to the actual favorite from March. This Missha foundation feels so light on my skin and the oil in it makes my face look so naturally glowy. Surprisingly, it does last all day on my skin but I am more on the dry side. It does have at most a medium finish if I build it up, but I tend to just stay around a light-medium finish using this foundation and then going back in with some concealer. 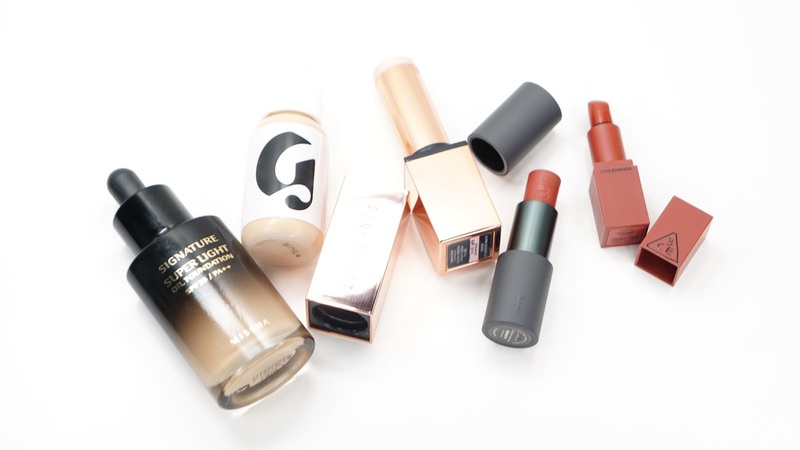 Speaking of sheer - I've also been using the Glossier Skin Tint in Medium again. I'm such a huge fan of their Stretch Concealer, but it wasn't until I started to mix the Skin Tint with other bases that I started to appreciate it more. I mentioned on another Makeup Bag Monday post (here) that I was mixing it into the Milani Conceal + Perfect Foundation to make it work better on my skin. The Skin Tint helps to add a bit more moisture and usability to my face products when they're too matte and full coverage for me. 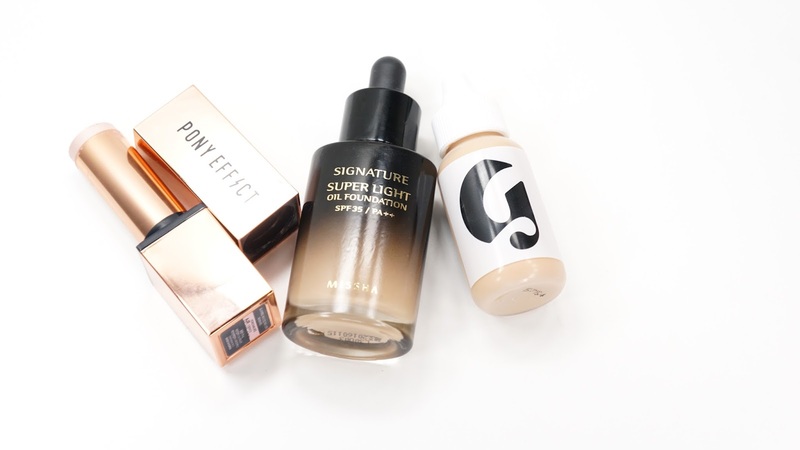 I'm normally a fan of fuller coverage foundations, but my skin has gotten better and so this tint works really well in sheering out and adding dewiness into foundations I've already loved. & that's it for my March Favorites! Have you tried any of these products? What products are in your March Favorites?